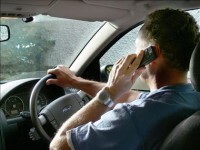 In the past year, drivers in Merseyside were fined more than £1.2m for using their mobile phones while driving. The Liverpool Daily Post reported that between April and September this year, police gave out tickets to more than 20,000 drivers for using handheld mobiles while in charge of their vehicles. Even a driving instructor was among those hit with an £60 penalty and three points on their licence. The driving instructor was teaching a learner driver at the time! Merseyside Police warned that the number of killed or seriously injured on the road could potentially increase unless they enforced the law. The cause of accidents while driving is not recorded, so there is no available data for how many people may have perished on UK roads because of mobile use. Police authority members and city leaders said the number of offenders caught represented just “the tip of the iceberg” and suggested the true number of drivers putting lives at risk was much higher. In fact, the problem is so great, the force’s central ticket office is “operating at maximum capacity due to the high level of enforcement”. Figures show that between April last year and March this year, 14,386 people were caught using a handheld while driving, that’s around one in every 100 people in Merseyside. Merseyside Police Chief Inspector, Chris Markey said: “Using a mobile phone while driving makes you four times more likely to crash so I am sure the public will understand why we are so determined to stop people from doing so. “The number of fixed-penalty notices issued last year to motorists committing this type of offence showed this is a top priority for the force and we will continue to crack down on this problem. They are not only risking their safety, but the safety of innocent motorists and pedestrians.